15% buyers premium applies to all items. Cash, Check or Credit Card accepted. Full Payment must be received before pickup time. All items sell “AS IS, WHERE IS, with NO WARRANTY expressed or implied. 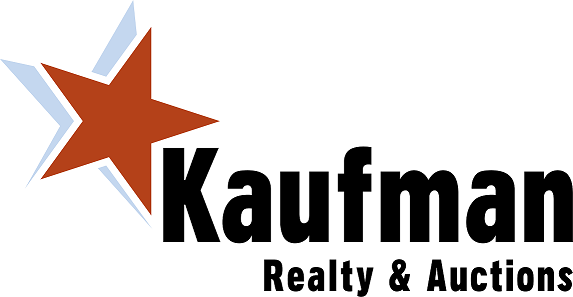 All items must be removed during the schedule pickup time(s) Any items not removed during the pickup times will become the property of Kaufman Realty & Auctions & will be handled at our discretion. (unless other arrangements have been made) Please bring plenty of help and proper equipment needed to remove your items. Auction staff is not available to assist with loading. Don't bring a Pinto to take home a bedroom suite, please.This Online bidding system is set to start closing at 6:00 P.M. & will close 10 items every 5 minutes with a 5-minute extension. All bids are final. We cannot retract or remove a bid. Kaufman Realty & Auctions is not responsible for any computer malfunctions during the Auction.